Dehradun is the busy capital of the state of Uttarakhand, and serves as a gateway or starting point to many treks in the state. 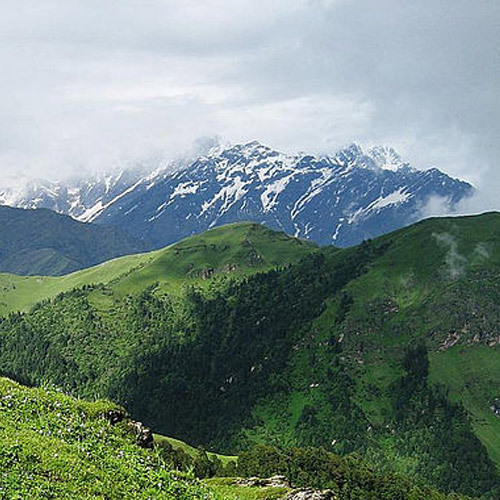 Ranging from moderate to tremendously difficult treks, all the treks near Dehradun will leave you spellbound. There is a wide variety of routes that will have you exploring blooming meadows, open green pastures, and snowy peaks, or that could take you into more challenging terrain. 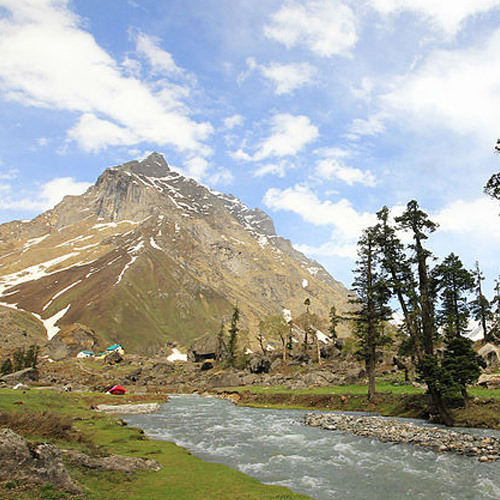 Some of the most popular destinations while trekking in Dehradun include the Valley of Flowers, Roopkund, Nagtibba, and the snow trek to Kuari Pass. Trekking through the Valley of Flowers is the most enchanting experience for beginners. A vibrant palette of colors, the meadow is home to a wide variety of indigenous alpine flowers, orchids, marigolds, primulas, poppies, and other such flowers that bloom once a year. During peak blooming season, the valley is carpeted with multiple colours and the scent of the flowers remains in the crisp mountain air. 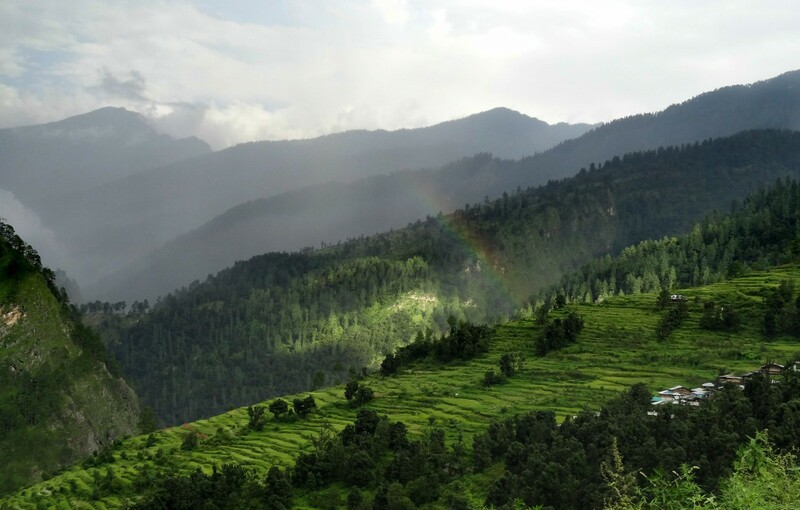 This is one of the most picturesque landscapes you’ll find amongst treks near Dehradun. It’s an easy trek, with well-maintained paths built especially for trekkers. Very often, this trek is combined with a visit to the Hemkund Sahib Gurudwara, a charming religious spot built on the side of an icy lake. 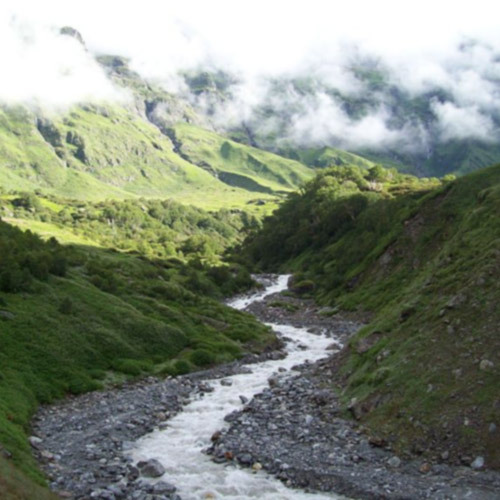 This six-day trek is best done between the months of June to October, as are many other treks in Dehradun. One of the rather eerie treks near Dehradun is the Roopkund trail. This high altitude lake lies at the end of a challenging trail, and is shrouded in mist and frozen for most of the year. Around the lake and inside the clear water, you’ll see ancient human and equine skeletons. Many myths were born to explain the presence of these skeletons, and there are still many disputed theories about whom they belonged to. Apart from this spooky thrill, you’ll also see magnificent landscapes during this trek, including views of the Nanda Peak. Trekking in Dehradun calls for some rest as well, and you can do that by camping at stunning campsites in the Himalayan wilderness. 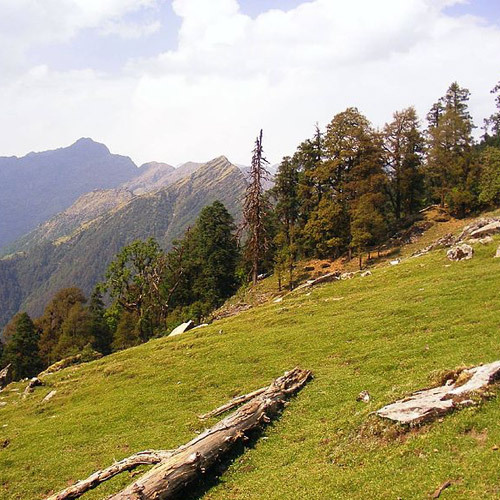 One of the most beautiful easy treks in Dehradun is the Nagtibba trek. The trail begins at 3500 feet and ends at 9900 feet. En route, you’ll pass pretty streams, sprawling meadows, and patches of fragrant wild mint. 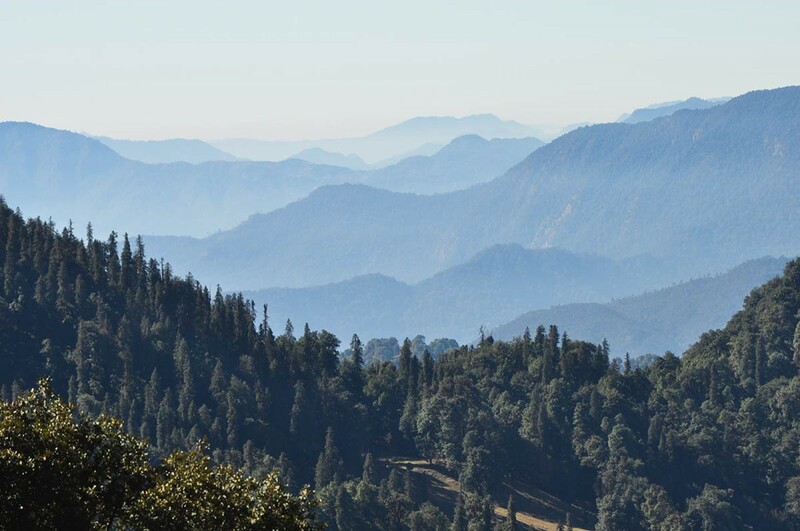 You’ll only trek for about four or five hours each day, and this trek can be done over 1, 2, or 3 nights, making it one of the favourite weekend treks near Dehradun. If you want a completely different trekking experience, try the Kuari Pass Trek during the winter. This moderately difficult five-day trek takes you through gorgeous meadows and peaks, all blanketed in snow. This is one of the finest treks in Dehradun and the Himalayas. 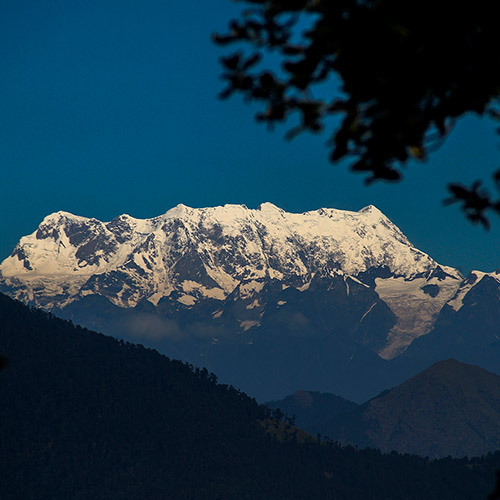 You’ll see Himalayan giants such as Nanda Devi, Dronagiri, and Trishul. 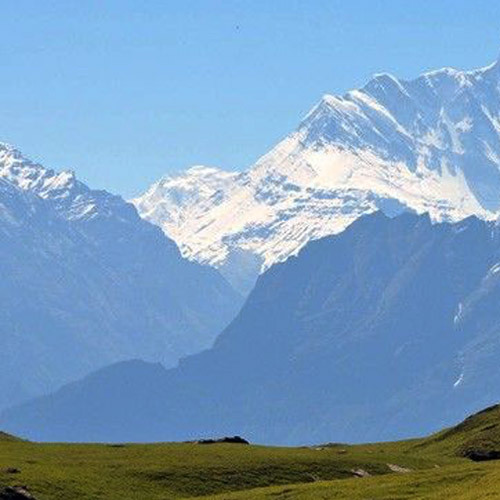 Capture some of the best panoramic views of the Himalayas in this trek near Dehradun. Treks near Dehradun are absolutely spectacular and are best done from May or June onwards. During this time, the weather is pleasant and the nights are cool. However, if you’re eager to see snow, you should go during the winter. Do carry enough warm layers and use appropriate footwear. For all treks near Dehradun, you’ll be provided with the right sleeping bags and tents.